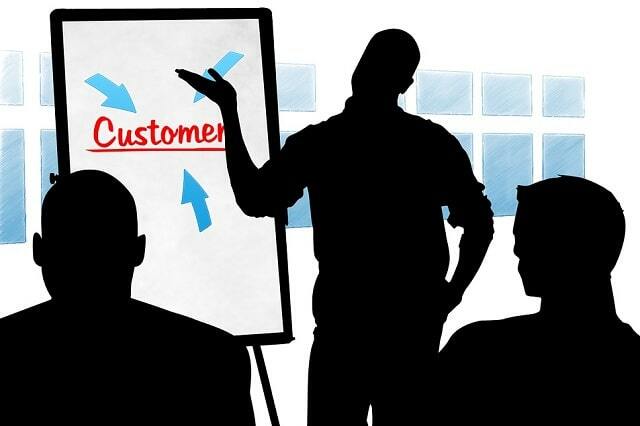 Bootstrap Business: How To Build A Productive Customer Success Team? How To Build A Productive Customer Success Team? When it comes to running a successful business, a well-planned business model is not the only saving grace. Having an effective team dedicated to the success of the business is just as important. Building a team to provide the ultimate customer success experience can improve a business retain loyal customers for outstanding business growth. There are several proven ways to build a productive team, but here are the tips that have been used time and time again with impeccable track records when it comes to business success. Starting a business includes mapping out the details of how you will draw in and retain your customers. A lot of this goes into customer churn as well. Customer churn is when a customer subscribes to a service or product and how your business operates determines in the customer remains with the business or terminates their business with the company. It does not matter if you are starting with a low number of employees or are apart of a Fortune 500 company, staying focused on customer success will help navigate the ropes when it comes to building a productive team. Make sure yourself and your team understand your target market. How do the customers think, shop, what do they want, where are they, and how to reeling them in are important questions for a team meeting. A productive and successful team starts with a strong customer focus and work culture. Have everyone on the same page when it comes the mission and values of your organization. Customer success starts with the customer experience from beginning to end. Recruit wisely. Another important aspect of building a great team. From the higher ups to the entry-levels; everyone should match what the company is going for. You need all-star members on your team with proven track records with customer success and management skills. Having a background in customer service and high volumes of customer interactions is a great start when reviewing candidates. Account manager and those that held service roles are valuable as well. It is very important to have customer advocates. They are customer driven. The customer success team is apart of the backbone for your business. Remember, having a strong, productive customer success team will greatly affect customer churn in a positive way. Training and on-boarding must be top priority. This is where a lot of business can fall by the wayside. Have on-going training not just for when a team member falls behind on their knowledge and performance, but to keep them sharp throughout their role with your company. Customer success team members need to adapt quickly and utilize their learned material about products and services to assist your customers properly. The onboarding process should make them feel confident when they are performing their jobs instead of learning on the way. The process should always cover your products, policies, and leaders in your company. In addition to onboarding, have a well put together knowledge base that is easily accessible. As your team grows, the most common issues that affect customers will show up. This will give a foundation for your knowledge bases and the best problem- solving resolutions. Generate the most common questions and answers to streamline the process while your customer success team is interacting with customers. Having an FAQ knowledge base for customers as well so they do not feel helpless when navigating your business’s process, products, and/or services. The best productive customer success teams are vital when it comes to customer retention, loyalty, and a satisfying experience. Their role is to be the voice of your company. Start with a vision for customer success, find the best candidates to carry out your business values through recruiting, create an easy to follow, but fool-prove knowledge base, and have a strong work culture. Don’t forget to keep track of their KPIs and always give praise with developmental feedback – if needed. I hope you enjoyed this blog post about ways to build an efficient and effective customer success team for your business. • Is The Customer Still Always Right?